As concern for environmental issues has grown amongst consumers, more fleet managers are putting a greater emphasis on green logistics. 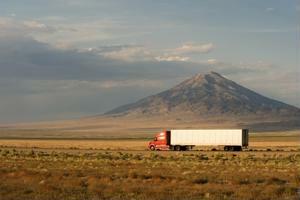 Trucking companies are trying to create greener fleets and reduce their carbon footprint, according to Fleet Digest. Sustainable sourcing has become more popular among consumers, and many companies have responded by shifting toward greener practices. Advancements in natural gas engines are one way companies can achieve green procurement. Several major truck engine manufacturers such as Navistar, Freightliner, Peterbilt and Volvo, have all produced heavy duty natural gas engines, Forbes reported. Federal and state governments have created incentives for logistics companies to trade their diesel trucks in for greener models. In Houston, logistics providers can receive $20,000 or more for each diesel truck that is switched for a natural gas model as the region tries to meet federal air quality standards. Rising fuel costs have been a major driver for the push toward natural gas models. Adopting more efficient vehicles can help logistics providers reduce operational costs, Fleet Digest said. Since switching to natural gas vehicles can be expensive, some fleet managers have come up with other ways to improve sustainability efforts. Some companies are retrofitting trucks with aerodynamic side skirts to decrease fuel use, according to Fleet Owner. If trucks are less than 10 years old, this can be a more effective solution than replacing vehicles. Driver training programs can also improve fuel efficiency. "In 2011, driver training reduced our fuel consumption by almost 2 percent, the equivalent of taking nearly 3,000 passenger vehicles off the road," Jayna Wade, sustainability manager of Old Dominion Freight Line, told Fleet Owner. "We're also using the data we have on freight logistics to improve operations." In addition to reducing costs, many companies see sustainability efforts as a way to improve corporate image, Fleet Digest said. Logistics providers are likely to continue improving sustainability as consumers remain concerned with the environment.